After earning a law degree and a master of tax law degree, Tom Korge began his legal career as a legislative assistant to The Honorable Dante B. Fascell, United States House of Representatives, and a law clerk to The Honorable Norman O. Tietjens, United States Tax Court. In 1979, Tom joined the Washington office of the law firm Baker Botts LLP and returned to his hometown of Miami in 1988. Tom specializes in tax, business, and company law, real estate development, mergers & acquisitions, public charities, private foundations, municipalities and other non-profit entities, complex financial transactions, estate planning, trusts and fiduciaries, and complex litigation and appeals. He also teaches federal income tax law at the University of Miami School of Law. During his career, Mr. Korge has handled a wide variety of transactions. Representative transactions include: $22,000,000 The City of Miami, Florida, Special Obligation Non-Ad Valorem Bonds, Series 1995 (Administration Building Acquisition Project); $182,695,000 Dade County, Florida, Resource Recovery Facility Refunding Revenue Bonds, Series 1996; $72,000,000 The City of Miami, Florida, Special Obligation Non-Ad Valorem Bonds, Taxable Pension Series 1995 and Taxable Compensated Absence Series 1995; acquisition by merger of AMSI Holding, Inc., by Crothal Services Group April 15, 1999; stock acquisition of Medical Business Service, Inc., by Zotec Partners, LLC, September 7, 2011; and asset acquisition of Transit Plus, Inc., by Creative Bus Sales, Inc., March 19, 2012. In addition to his transactional practice, Mr. Korge has successfully litigated a variety of complex, high profile cases. 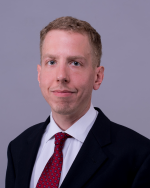 In McGrath v. City of Miami, 789 So.2d 1168 (Fla. 3d DCA 2001), aff'd 824 So.2d 143 (Fla. 2002), as lead class counsel Mr. Korge successfully challenged the constitutional validity of the City of Miami's Parking Surcharge, resulting in a $14 million class action settlement after the Florida Supreme Court overturned the tax. Some other reported cases include Southeastern Staffing Services, Inc. v. Fla. Dept. of Ins., 728 So.2d 248 (Fla. 1st DCA 1998), appeal dismissed, 766 So.2d 223 (Fla. 2000), upholding the constitutional and statutory authority of the Florida Department of Insurance to assess members of insolvent groups self-insurance funds for future loss reserves; Super Transport, Inc. v. Fla. Dept. of Ins., 799 So.2d 286 (Fla. 1st DCA 2001), rev. denied 821 So.2d 302 (2002), affirming $50 million verdict in favor of the Florida Department of Insurance; and City of Coral Gables v. Applied Digital Programming Technologies, Inc., et al., (11th Cir. Court, Fla. 2007), providing injunctive relief for Coral Gables to obtain access to technology withheld upon the City's termination of its contract with the defendant. 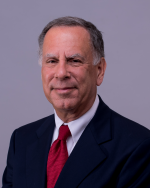 Board Member, Coconut Grove Junior Chamber Foundation, Inc.
Chris Korge began his legal career in 1981 with the cities of Miami Beach and Miami and then entered private practice with Holland & Knight, LLP. He later joined Zack Hanzman Ponce Tucker Korge & Gillespie, P.A., and was managing partner at Criden Korge Chaykin Ponce & Heise, P.A. Chris has specialized in government contracts and procurement, legislative affairs, land use, development and permitting and other regulatory affairs and is recognized as one of the top Democratic Party fundraisers in the United States. Thomas graduated from the Levin College of Law at the University of Florida and was admitted to the Florida Bar in 2010. Upon graduation, Thomas returned home to Miami, joining the law firm of Lydecker/Diaz, LLP, where he spent the several years practicing law with the firm's complex litigation department handling commercial and financial litigation. In 2013, Thomas left the Lydecker/Diaz law firm to join Korge & Korge. Mr. Korge currently practices primarily in the areas of commercial and financial litigation, business law, transactions, insurance, employment, landlord-tenant law, estate planning, and general litigation.